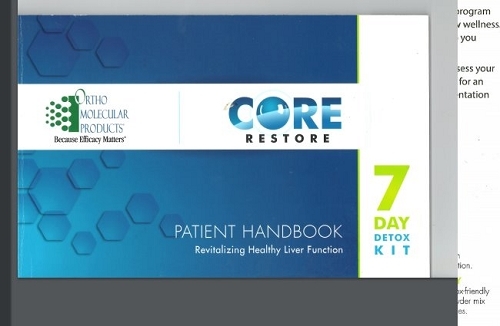 The Core Restore Kit is a strategic system designed to safely enhance and promote the primary pathways of detoxification in the liver. The Core Restore kit provides three active formulas – Core Support, Alpha Base, and PhytoCore – which function synergistically to support Phase I and Phase II pathways of liver detoxification to help neutralize environmental pollutants, hormone disruptors, unhealthy estrogen metabolites, xenoestrogens (synthetic compounds that imitate estrogen), and other harmful toxins. 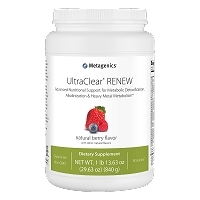 This powerful trio of specialized formulas provides essential micronutrients, phytonutrients, and a source of easily digested, low-allergen protein that purifies the liver and fuel optimal biotransformation. Simply mix the Core Support Protein Powder into water, almond or coconut milk twice a day. Take the Alpha Base Capsules with food and the PhytoCore capsules at the time of your choosing. The combination of these natural supplements can lead your body to a higher level of internal health. The comprehensive patient guide offers resources such as recipes that will complement and encourage detoxification, grocery lists for easy shopping and an easy to follow dietary schedule. After detoxifying your body with these tools, you can expect smoother digestion, better nutrient absorption and higher levels of energy. This was the 4th time I have done this detox, and probably my best experience with it yet. I'm not going to lie, it is tough. But in the end you will feel so great that you forget how difficult the first few days were. Once I got through the first two days of fasting and had some of the recipes made and ready to eat in the fridge it got much easier. The recipes are delicious! The powder is terrible...had to pinch my nose and chug. But I will tell you, it it totally worth it. I feel cleaner and clearer. I am sleeping better, and I feel like my body has gotten rid of some of those fat/toxin stores it had been holding on to. This detox is definitely worth doing once a year to give your liver a much needed oil change. Whole Grain Brown Rice Sweetener. Natural Flavors, and Silicon Dioxide. 2 capsules of Alpha Base morning and evening. 2 capsules of PhytoCore morning and evening. The included Core Restore Patient Handbook does a great job of explaining the process in more detail and provides a list of foods that help and foods to avoid. 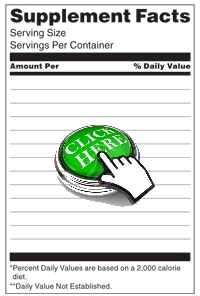 They even have some simple menus and a grocery shopping list to make it super easy. What is the Core Restore Kit? The Core Restore Kit is a strategic system designed to safely enhance and promote the primary pathways of detoxification in the liver. The Core Restore Kit provides three active formulas – Core Support, Alpha Base, and PhytoCore – which function synergistically to support Phase I and Phase II pathways of liver detoxification to help neutralize environmental pollutants, hormone disruptors, unhealthy estrogen metabolites, xenoestrogens (synthetic compounds that imitate estrogen), and other harmful toxins. 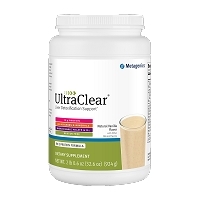 This powerful trio of specialized formulas provides essential micronutrients, phytonutrients, and a source of easily digested, low- allergen protein that purify the liver and fuel optimal biotransformation. The Core Restore Kit is an easy-to-follow, 7-day program designed to reduce the incoming burden of toxins to restore optimal health. Our increasingly toxic world creates a major burden on our bodies. Exposure through the air we breathe, the stress we feel and the food we ingest can add up to over 14 pounds of pesticides, herbicides, food additives and preservatives per year for the average American. 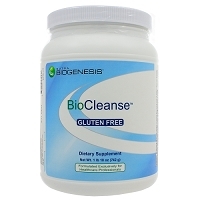 The liver, together with the gastrointestinal (GI) tract, is the organ responsible for removing these toxins through a process called biotransformation. If the liver is not working at full speed, every other system in the body is at risk as fat soluble toxins, which are poorly excreted, become stored in the body. 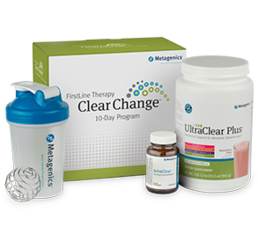 The process of biotransformation is performed through a two-step enzymatic process known as Phase I and Phase II detoxification. These two pathways help to breakdown toxins into harmless substances. Phase I is composed of a series of enzymes, called cytochrome P450, which chemically change harmful, fatsoluble toxins into more toxic substance called intermediate metabolites. Since the “intermediary metabolites” are often more toxic than the original fat- soluble toxin, they must then go through Phase II processing into safe and water soluble form through their attachment to other molecules, to form inert compounds which are then safely released from the body. The Core Restore Program is a science based system strategically designed to enhance Phase II mechanisms first, ensuring proper clearance of toxins, then provides nutritional support for Phase I detoxification making sure each step of biotransformation is in sync and reducing the toxic burden on the body. Core Support powder enhances Phase II detoxification by providing clean protein, gentle fiber, and specific nutrients which help eliminate toxins during the 7-day detoxification program. Core Support provides nutrients needed for Phase II detox including N-acetyl cysteine, glycine, taurine, lipoic acid, green tea extract, ellagic acid, and a unique blend of vegetable phytonutrients. 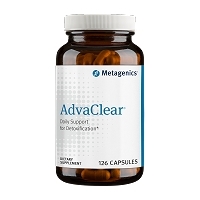 The antioxidant activity of this unique blend of nutrients is protective against cell damage by free radicals and helps induce Phase II enzymes which facilitate the removal of toxins from the body and scavenge free radicals. Research has shown that glutathione and the amino acid cysteine help to regulate Phase II conjugation reactions  and epigallocatechin- 3-gallate (EGCG), the major polyphenol in green tea, has also been shown to induce expression of glutathione S-transferase and glutathione peroxidase. Core Support provides 15g of organic brown rice protein as a satisfying and hypoallergenic energy source, as well as 5g of fiber per serving, essential for binding toxins for elimination. Without drinking enough liquid, this product may swell in throat, causing blockage or choking. DO NOT use if you have ever had esophageal narrowing or swallowing difficulties. Seek immediate medical help if symptoms of esophageal blockage (chest pain/pressure, regurgitation or difficulty swallowing) occur. May cause allergic reaction in persons sensitive to inhaled or ingested Psyllium. 2-3 capsules two times per day or as recommended by your health care professional. 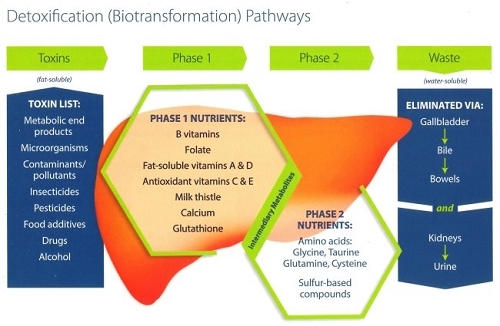 Alpha Base provides a multi-nutrient foundation to ensure the liver has adequate amounts of important trace minerals and vitamins needed for the energy/nutrient intensive process of detoxification. Nutrients such as vitamin C, vitamin E, and the B vitamins are required for cytochrome P450 activity. In addition to vitamins and trace minerals, carotenoids are included to help scavenge free radicals and protect cells while toxins are removed. 4 capsules per day as part of the Core Restore Program, or as recommended by your health care professional. 1. Liska, D. J. The detoxification enzyme systems. Altern Med Rev. 1998; 3(3):187-198. 2. Liska, D., Lyon, M. et al. Detoxification and Biotransformational Imbalances. 2005;(22):275-298. 3. Wattenberg LW. Inhibition of carcinogenesis by minor dietary constituents. Cancer Res (Suppl) 1992;52: 2085s-2091s. 4. Bland JS. Detoxification and rejuvenation. The 20-day rejuvenation diet program.1997:105-120. 5. HK, Surh YJ. Modulation of Nrf2-mediated antioxidant and detoxifying enzyme induction by the green tea polyphenol EGCG. Food Chem Toxicol. 2008 Apr;46(4):1271- 8. Epub 2007 Oct 17. Na. 6. Tuteja N, Singh MB, Misra MK, Bhalla PL, Tuteja R. Molecular mechanisms of DNA damage and repair: progress in plants. Crit Rev Biochem Mol Biol 2001;36:337– 397. 7. Huffman MA. Animal self-medication and ethnomedicine: exploration and exploitation of the medicinal properties of plants. Proc Nutr Soc 2003;62:371–381. 8. Kiruthiga PV, Shafreen RB, Pandian SK, Devi KP. Silymarin protection against major reactive oxygen species released by environmental toxins: exogenous H2O2 exposure in erythrocytes. Basic Clin Pharmacol Toxicol. 2007 Jun;100(6):414-9. 9. Shen G, Xu C, Hu R, Jain MR, et al. Modulation of nuclear factor E2-related factor 2-mediated gene expression in mice liver and small intestine by cancer chemopreventive agent curcumin. Mol Cancer Ther 2006;1:39–51.